Thank you to everyone who supported my campaign. I am truly grateful and I am deeply honored by each of the 18,422 votes I received on May 8, 2018. Best wishes and congratulations to Deborah Turner for her big win! I am a candidate in the May 8, 2018 Democratic primary for the Cuyahoga County Court of Common Pleas seat being vacated by Judge Janet Burnside. 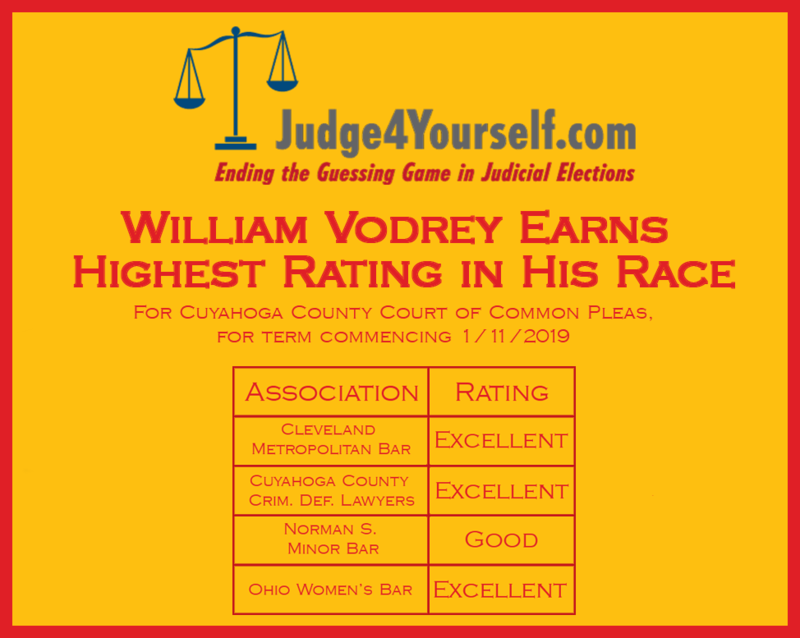 I’ve been a Cleveland Municipal Court magistrate for 16 years and am the only candidate for any of the open seats this year with experience presiding over jury trials. I have experience as both an assistant Cuyahoga County prosecutor and a Legal Aid lawyer. I have a deep commitment to public service and I hope to bring my experience, skills, and passionate commitment to justice to a higher court. do all in my power to reduce racial and socioeconomic disparities in the justice system. It’s no secret that your treatment in the criminal justice system too often depends on the color of your skin and the size of your bank account. We have a moral imperative to change that. support bail reform and the adoption of the Arnold Foundation’s public safety assessment. I believe I am the only candidate trained in this assessment, which is a powerful tool for bail reform and data-driven decision making. Cuyahoga County too often has kept poor, nonviolent suspects in jail before trial because they lacked the money to pay their bail while wealthier people got out. That is not justice, and it has to change. treat nonviolent, low-level drug offenses as the public health crisis they really are, and not just a reason to incarcerate. advocate for the specialized dockets of the Court of Common Pleas, including the Veterans Court, Drug Court and Mental Health dockets. forge closer ties between the court and the Ohio Center for Law-Related Education’s mock trial program, in which I’ve been involved for many years as both a judge and a coach. I believe it’s important for teenagers in our county to learn more about the American court system, explore careers in the law, develop their leadership, critical thinking and public-speaking skills. Thank you for your consideration. 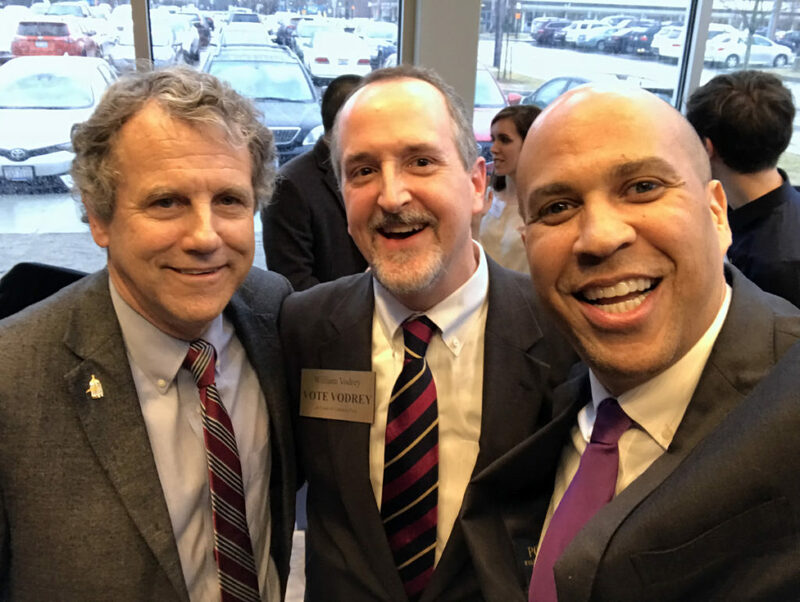 In Cuyahoga County’s Democratic primary election on May 8, 2018, please VOTE VODREY! © Copyright VoteVodrey.com 2018. All rights reserved. Paid for by the Vote Vodrey Committee.